The final version of my diploma portfolio for this semester, not my best I think but it was what I had! 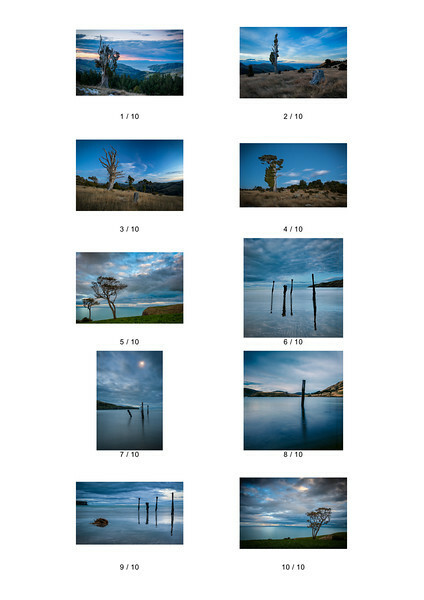 All taken on Banks Peninsula at or around sunset and mostly using a long exposure. 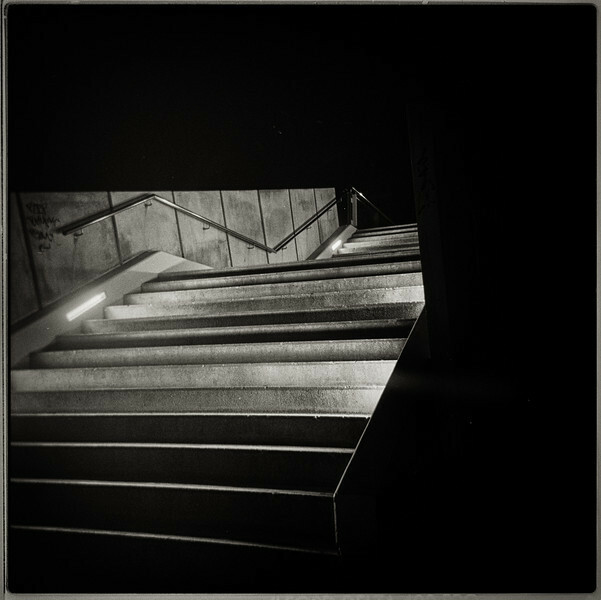 I have been using a film camera for the last week for my diploma course, lots of fun including developing it badly in my kitchen – embrace the imperfections. 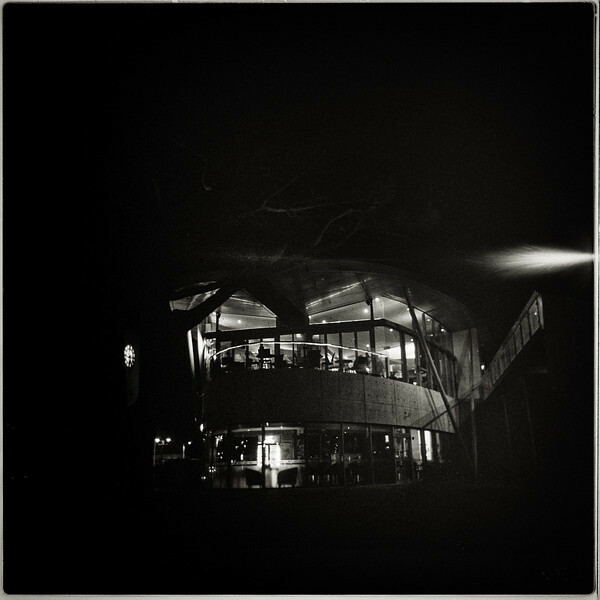 More Holga images, I just developed some 35mm film too, no idea if any of those will have worked. 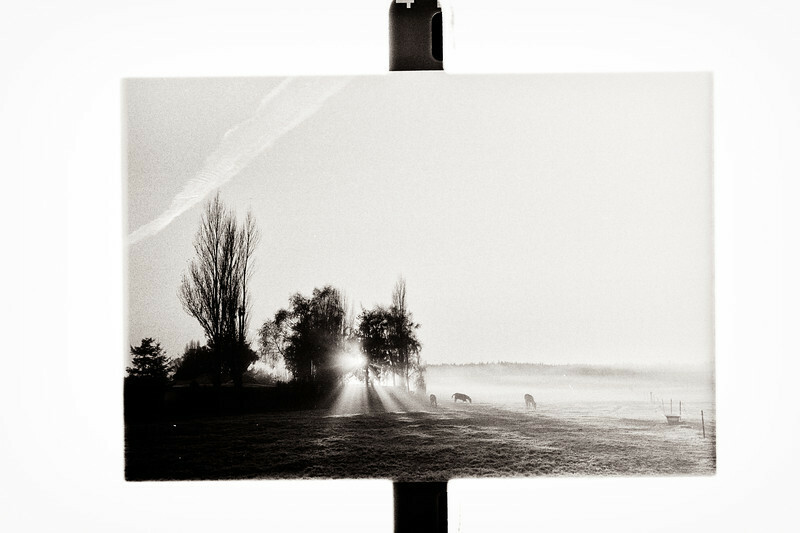 Multiple exposures – easy on a Holga! 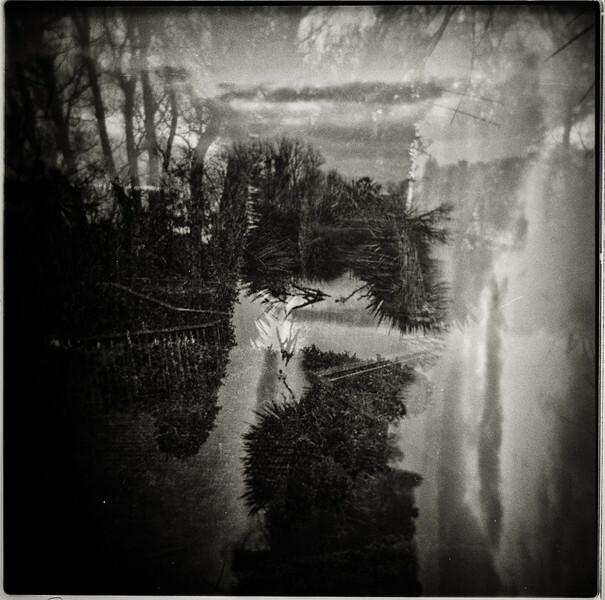 Unintentional multiple exposures, easy on a Holga! 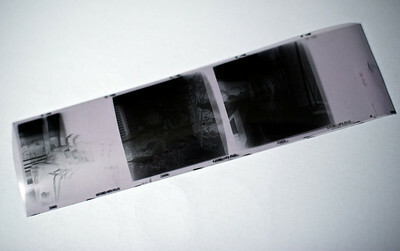 I had some fun last night printing a few images from my developed 35mm and 120 films. All black and white but great fun watching the images appear, a little messy but a fun change from sitting in front of the computer. The irony now of course that I needed to scan the images in show them. 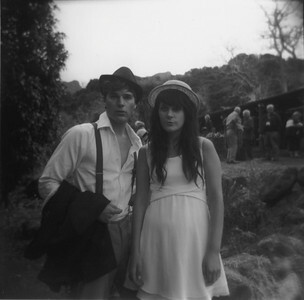 First a Holga image, this actually turned out a lot better than I had expected. 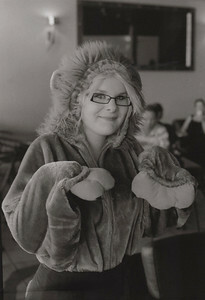 This poor waitress was dressed as a lion on the hottest day of the year in Dunedin. She was still smiling though. 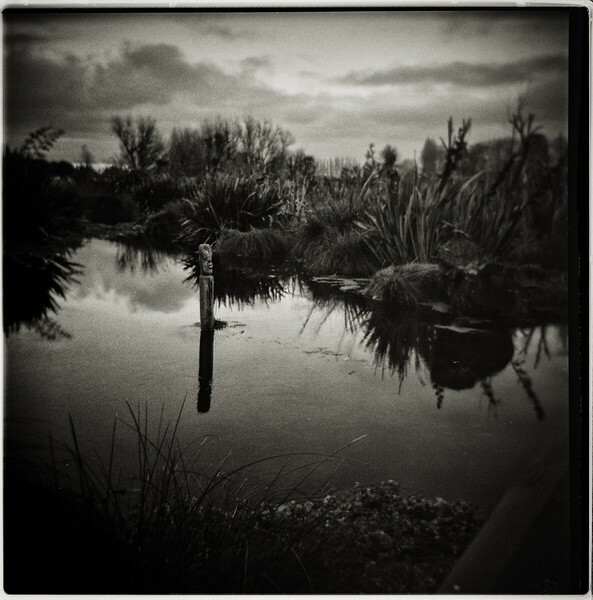 After a few months of being far too busy I finally had another go at developing some B&W film; two rolls of 120 from my Holga and my first attempt at 35mm. 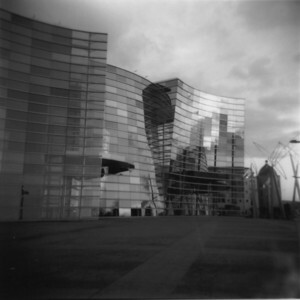 The Holga developing went okay, quite a mixture of images and exposures from looking at the resulting negatives – which is pretty much as I would expect given the limited control I have over exposure with the Holga (none at all?). The 35mm film looks to have come out much better than I had hoped, it helps that I use a good film camera with good metering (Nikon F80). It also helps that I am much more aware of exposure and correct use of aperture and shutter speed than I ever was when my film camera was my primary tool. Practise really does help although I do miss the instant feedback from digital. 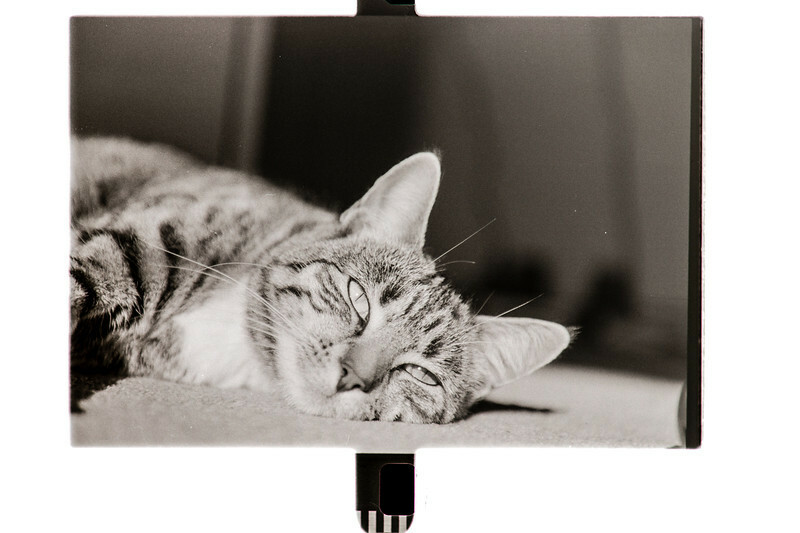 Having developed the film I now need to scan it in or try my hand at printing, I may give that a go this weekend if I am feeling very brave (and patient). I’ll post some images if I do try my hand at printing and enlarging. 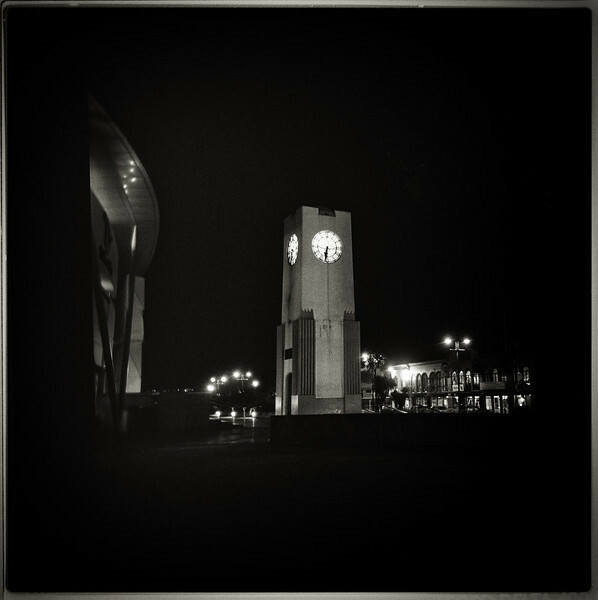 In the meantime I am continuing with my 365 Project and seriously considering a month in completely manual mode. I am now very comfortable in aperture priority mode but I am starting to look at better lighting techniques, including playing with high speed sync and I think I need to get comfortable using the camera in manual. – the next step is then using my speedlights in manual mode too. Looks like a busy month or two, so much still to learn. This is all really part of my tip for the day – learn your camera, read the manual and know all the common controls backwards so you don’t need to think about it. 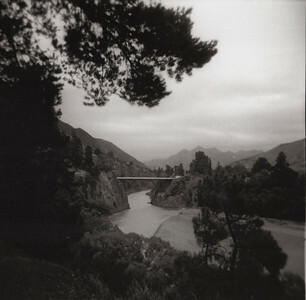 A couple of days ago I attempt to print some images from my Holga using a chemical darkroom. Basically for fun and to help understand what was involved in the process. It was fun and not too messy fortunately. My setup wasn’t ideal I suspect but good enough for my purposes. 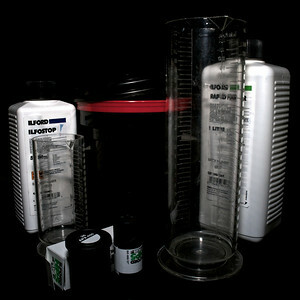 I laid out the enlarger and trays of chemicals on my kitchen surface and gave it a go. What did I learn? Quite a lot I think. The process is reasonably straightforward, follow the instructions when mixing the chemicals and for the timings and it ‘just works’. 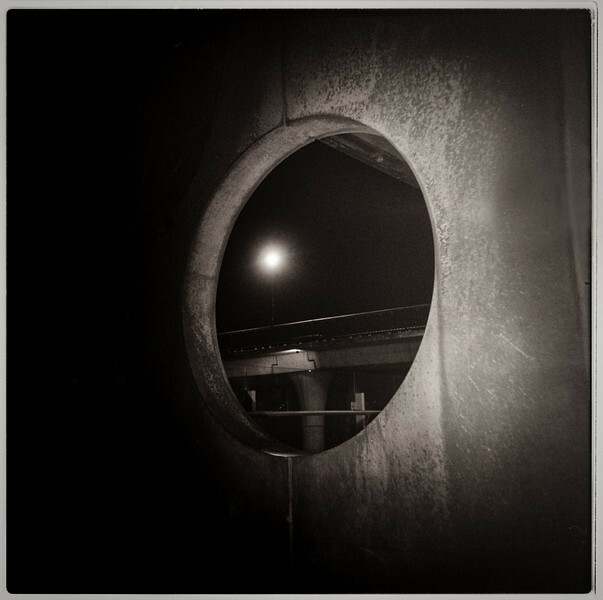 The actual time for exposing the print varies depending on the state of the negative, starting from a Holga with very little control over the exposure leads to quite varied negatives, some quite light and others quite dark. You really need to do a test strip to get the exposure correct. I must admit however having done one I did a fair amount of guessing this time.How did they turn out? 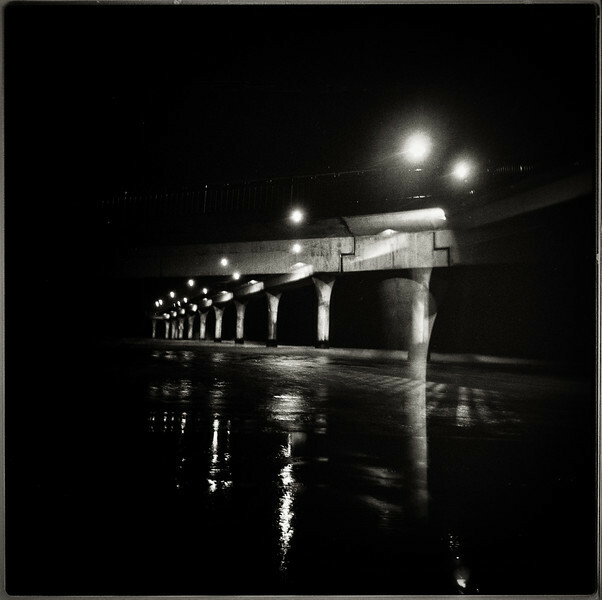 Well here are my first two images – scanned and straightened but otherwise untouched. I will be trying again! 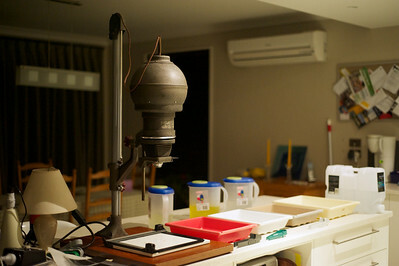 I have just finished printing my first images in a real darkroom, or at least my kitchen in this case. Messy but fun watching the images materialise on the paper. It appears to have been reasonably successful, certainly for a first attempt. Of course now I will have to scan them in to share them, better wait until they dry though!